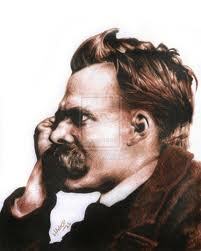 Nietzsche research papers overview the great Nietzsche's philosophy on God, morals and ethics. Despite the fact that German philosopher Friedrich Nietzsche contributed little in the way of technical advances in the field of formal philosophical inquiry, the vast reach of his influence over many of the significant cultural and scholarly developments of the twentieth century demonstrates the importance of his body of work. Nietzsche’s groundbreaking work in the study of ethics and morals overturned many of the paradigms and matrices of thought that had guided the approach to ethical questions since the advent of systematic inquiry in the West. Many scholars now assert the indubitable influence of 19th century philosophers and writers such as Nietzsche, Kierkegaard, and Dostoevsky upon the foundations of existentialist thinking. While Nietzsche never uses the specific term “existentialism” to describe his program, his work in the realm of moral relativism comprises the foundation for the refinements of the later philosophers who would more meticulously define the philosophical system in which the problem of being supersedes knowledge. In this paper, a discussion of Nietzsche’s contributions to existentialism will be followed by an examination of how the philosophical system of existentialism begot existential psychotherapy, as well as a thorough description of the defining characteristics and approaches of existential psychotherapy. One significant way that Nietzsche contributed to the conceptual framework of twentieth-century existentialist philosophy was in his rejection of long-assumed moral and metaphysical stances. In keeping with the existentialist assertion that the single most important quality of an individual is conscious selfhood that stands apart from any predetermined attempt to define that individual, Nietzsche held that defining the individual was tantamount to limiting that individual’s potential. As an extension of this, Nietzsche claimed that adhering to the “herd’s” apprehension of objective moral categories of good and evil served no other purpose than forcing the individual to sacrifice uniqueness and capacity for greatness. Nietzsche’s espousal of what some scholars refer to as “radical free will” was based on his repeated assertion that the strong individual must attempt to harness and master the absurdity that necessarily characterizes a deity-free world and rise to power. Age of Reason - Age of Reason research papers examine the 18th century intellectual movement of reason and science that swept Europe. Order a research paper on the Age of Reason from Paper Masters. William James and Friedrich Nietzsche - William James and Friedrich Nietzsche Research Papers examine a preview of a paper order placed to review films that had to deal with aspects taken from the unit topics. Modernism - Modernism research papers discuss the philosophical movement and way of thinking that believes human beings can create and reshape their own environment. Beyond Good and Evil - Beyond Good and Evil research papers discuss the book by Nietzsche. Derrida Deconstruction - Derrida Deconstruction essays examine the literary theory and philosophy of language that largely comes from French writer Jacques Derrida’s 1967 book Of Grammatology. Paper Masters writes custom research papers on Nietzsche and overview the great Nietzsche's philosophy on God, morals and ethics.